Unsung heroes of an American pastime, ABDN keeps store shelves stocked with a variety of malt beverages for beer lovers across the state. 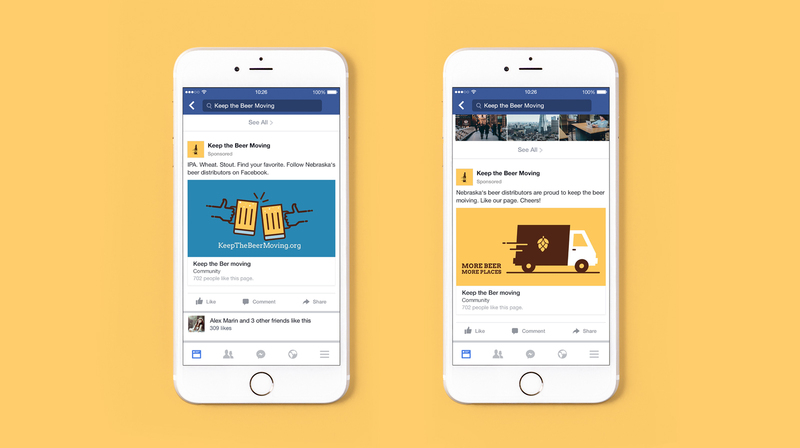 They sought to increase awareness of all the benefits they provide to consumers and craft breweries via a Facebook Advertising campaign. We formed a strategy, identified goals, created targeting options and set a budget. People followed. Cheers! Over the course of a three-week Facebook Ad campaign, we reached 24,261 people, garnering 671 likes; +8,350% page visits; +1,060% post engagement; +460% website users; +490% page views.